Today we’d like to introduce you to Liz Illg. Liz, please share your story with us. I grew up in a small town in Iowa with five siblings and a dream of moving to Phoenix, Arizona! After high school, I packed my bags and moved to the Valley of Sun where I earned my bachelor’s from Arizona State University and a masters degree at Northern Arizona University. While getting my education, I worked jobs that I was never happy in; I wanted more out of my life, and a career that I would truly enjoy! I scoured businesses for sale until I found the perfect one. After being turned down seven times for a bank loan, I was finally approved to become a business owner! Five years later, my one shop has turned into four thriving, community-oriented pet grooming salons. 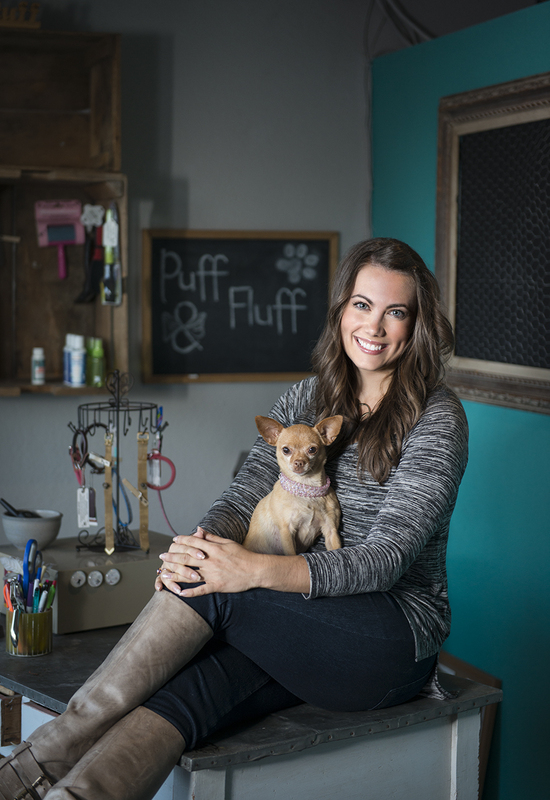 An enthusiastic pet lover from a small town in Iowa, Liz Illg is the Owner of Puff & Fluff Grooming and Pet Sitting in Arizona. Not just a groomer, Liz is an all-around pet and local business guru. 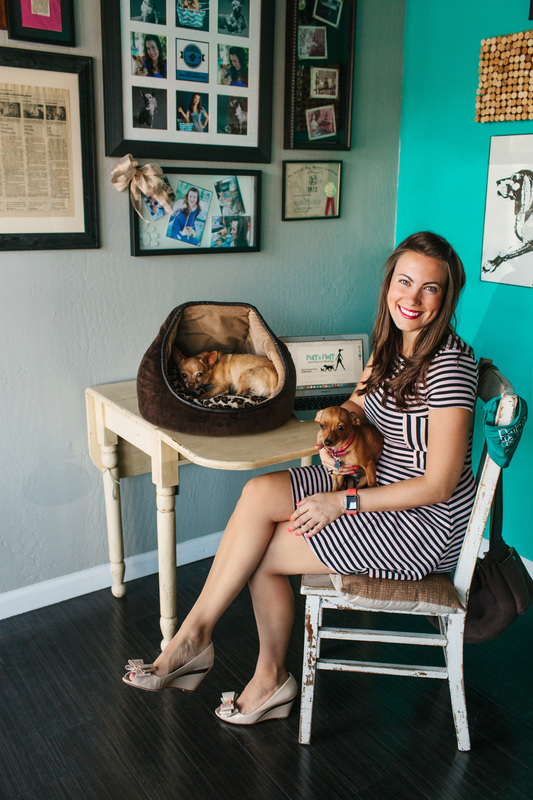 She works tirelessly to educate pet parents about their furry friends and also to help small business owners reach their goals. Liz has built a strong community through her social media outreach, events, and by word-of-mouth. 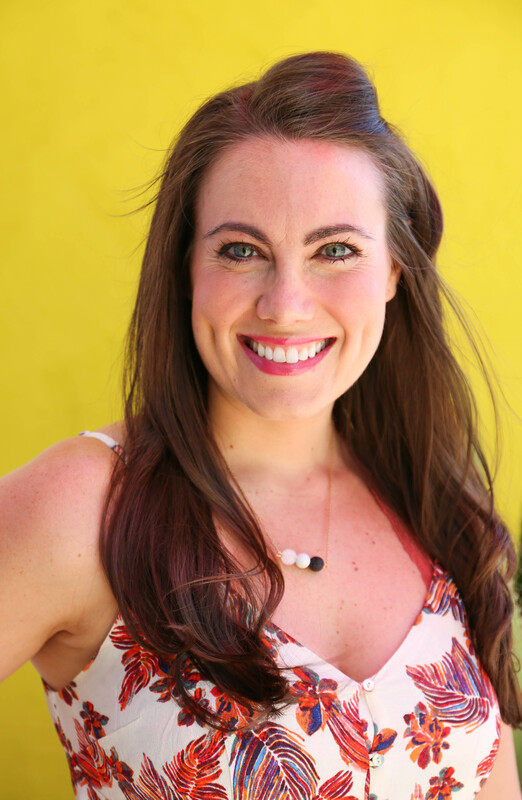 Not only is she a female entrepreneur and pet influencer, Liz is also a dedicated yoga student and teacher. In fact, she trained for over 200 hours and is now registered with Yoga Alliance as a certified yoga teacher. In addition to teaching yoga, Liz also teaches doga – that’s right, yoga for people and their pets! Dogs can easily be incorporated into human yoga poses; not only that but dogs are very intelligent when it comes to reading human energy– when you’re relaxed, your dog is naturally more relaxed too! 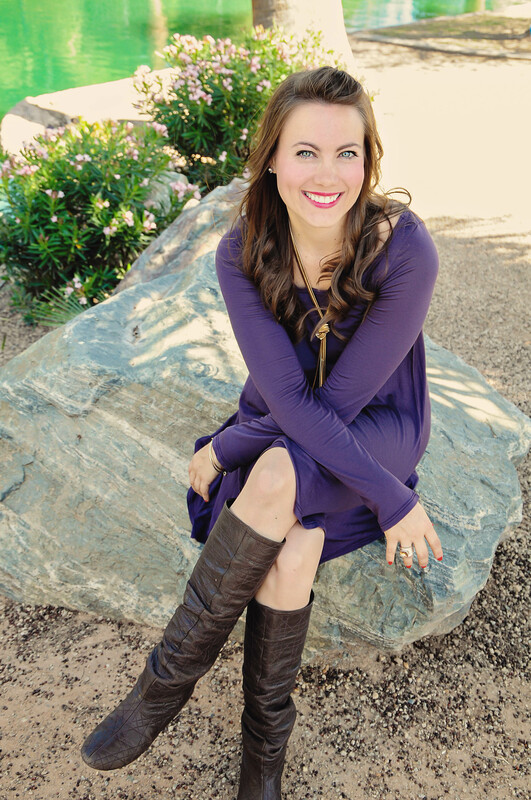 Along with advocating for pets and incorporating yoga into her lifestyle (teaching at Mountainside Fitness), Liz follows a plant-based diet. Living a healthy and active lifestyle has given her the energy she needs to carry on, with all of her other commitments, including her speaking engagements and community events. From Fox 10 to Channel 3 and AZTV, Liz is not known to be camera shy. She knows the value of contributing to her local community and has been fortunate to share her love and knowledge of animals on several media outlets. 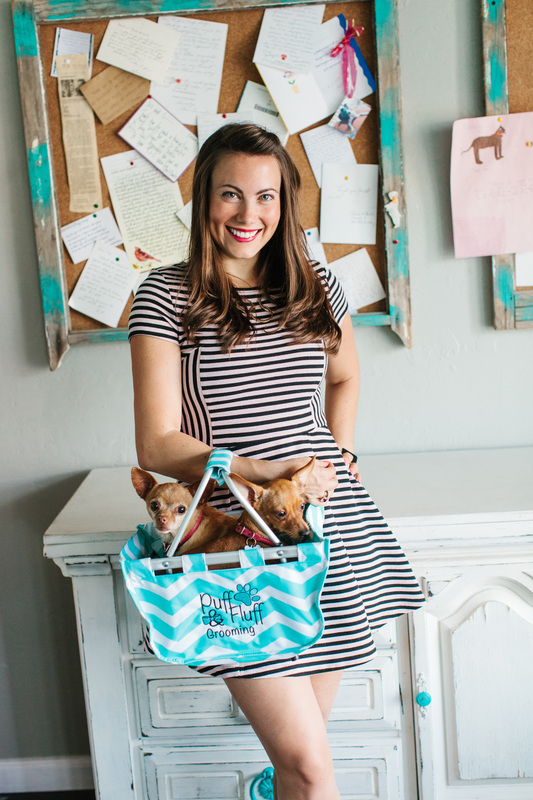 From sharing fun recipes for pets to grooming techniques, Liz is a staple of her community. Liz cares for her clients’ pets as if they’re her own and she works hard to deliver an excellent experience – from shampoodles and ear cleanings to haircuts and pawdicures. 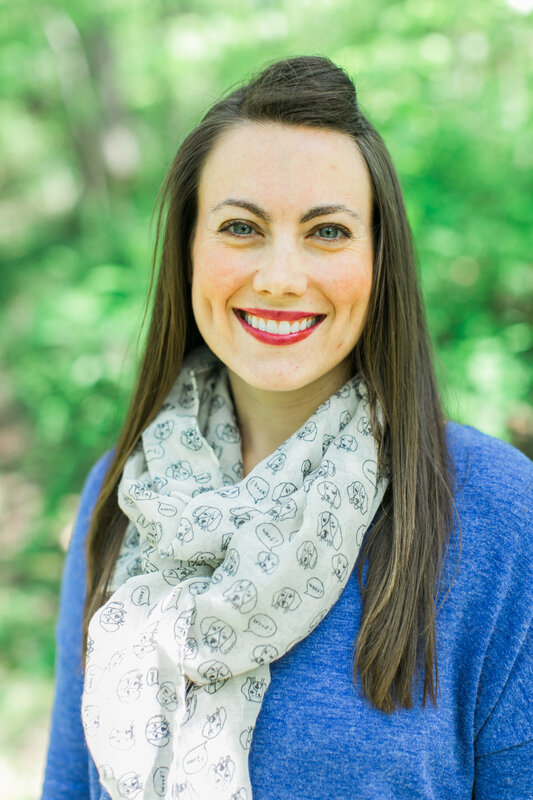 When she’s not busy running Puff & Fluff, volunteering her time, practicing and teaching yoga, or speaking at a local event, Liz can be found with her husband, her three Chihuahuas, Rosie, Tilly, and Luci, her Dachshund, Ruby and her Cavalier, Lily. It has not always been smooth sailing. I struggled in the beginning to obtain the funds, people reminding me of my lack of business ownership experience, which I did not let get in the way. 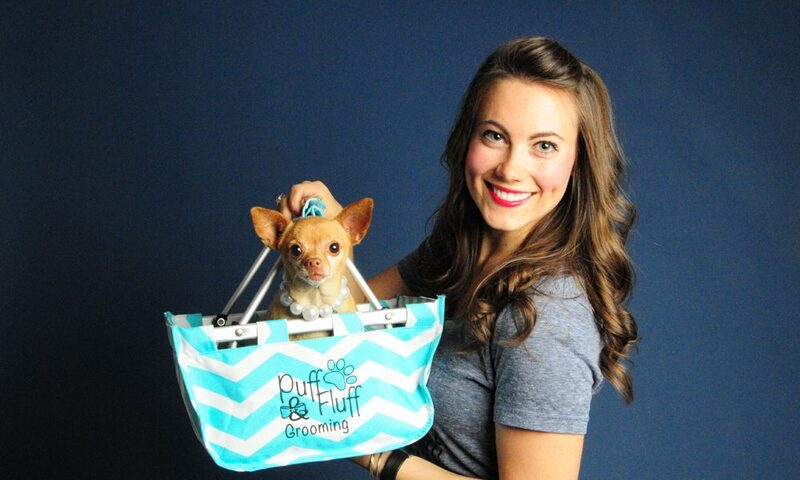 Puff and Fluff is a grooming and a pet sitting company offering pet-related services to our surrounding communities. We truly care about the pets in our care as well as their parents. As a company, I am most proud of how are interact with the community and the people around us. We love all pets, and we always ensure they, and their parents, feel as welcome as possible. I, myself, also specialize in consulting and business strategies. 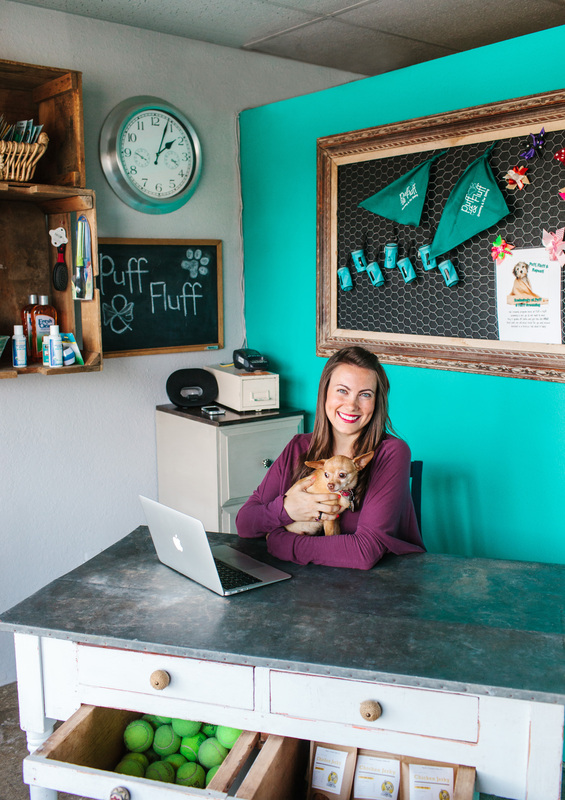 I help fellow pet business owners achieve their goals! We stand by our core values and we take pride in doing so, as it allows us to focus in on what matters, serving pet parents and the pets really well. Puff & Fluff is always eager to make an impact in the community. I serve on the board of directors of Gabriel Angel’s which is near and dear to my heart! Like everyone, my story starts with my childhood. I am a Midwest girl, born and raised in Iowa in a family with five siblings. Growing up, we had a very small income and we worked hard for everything we had. My mom, Carolyn, taught us principals and a strong work ethic that I still carry with me today. My mom also encouraged my God-given desire to invent products. I have always been an innovator – seeing a need and developing a concept to address that need. While none of my inventions hit the market, I still rely on my innovative nature to help me creatively solve the challenges that arise in my business. They say “necessity is the mother of invention.” My first product was a glow-in-the-dark map for the mini road trips my mom and I took when I was a teenager because having the overhead light on while she was driving bothered her. My next invention mirrors another passion of mine: animals. It was called He Could Eat The Dish. My grandfather raised buffalo on his farm so I created a dog dish out of buffalo meat. A dog could eat the vittles in the dish – then, eat the dish! Speaking of dogs, when I was about seven years old, I had a dog I named Phoenix because I knew that I was going to move to Phoenix, Arizona at the first opportunity. That’s me – I know what I want and I go after it. In fact, the moment I graduated from high school, I packed my car with all my personal belongings and moved to The Valley of the Sun to go to college and earned my bachelor’s degree in business from Arizona State University. I’ve always wanted to create and be the visionary person to lead a team. Which is exactly what I get to be. Facebook: Puff and Fluff Uptown, Litchfield, Arcadia, and Arrowhead.